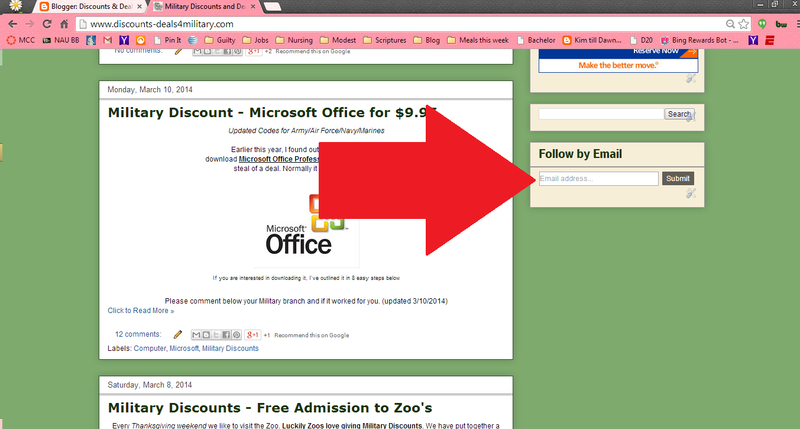 Do you want to try and search past deals and discounts? 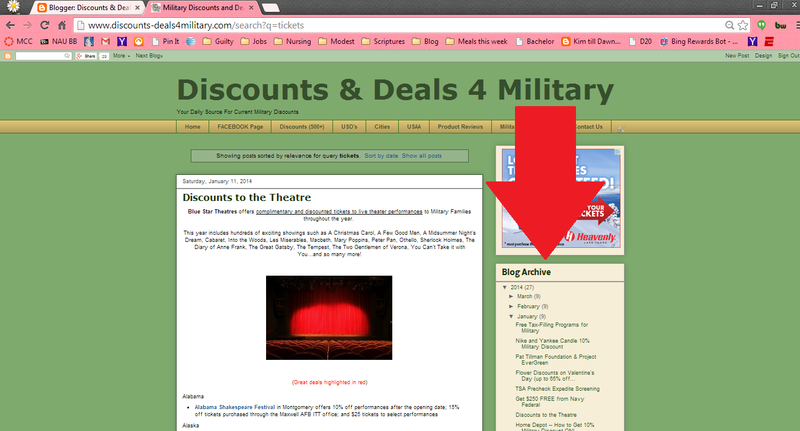 Also, have you noticed the new blog archive? So you never have to miss a deal. Don't forget to check out the tabs across the top also, our way of filing posts. 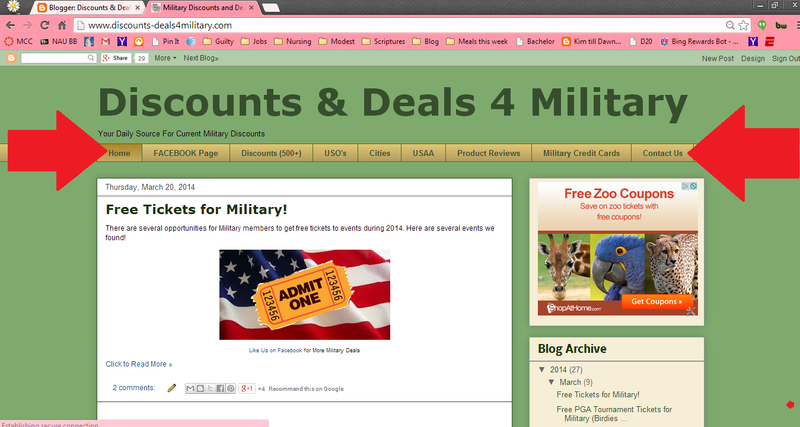 The tabs include deals by alphabetical name, USO reviews, military discounts by city, and more. And of course, be sure to like our facebook page for notifications on when we update the blog. - to your reading list on your blogger account. Still searching for something? 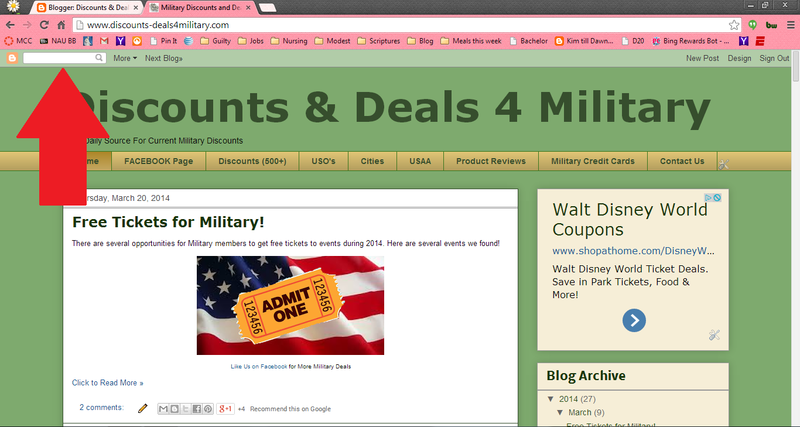 Searching for a military discount we haven't posted about yet? or write a comment on any of our posts.